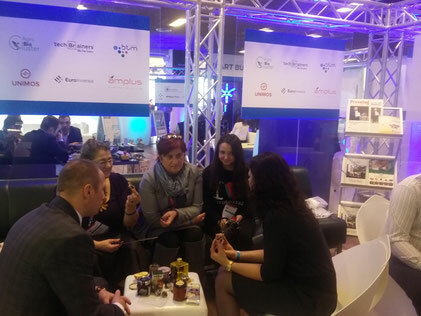 Steps and TeDu (University of Helsinki) promoted the project during the final conference of the European project Knork among entities dealing with innovation in methodologies applied in teaching. 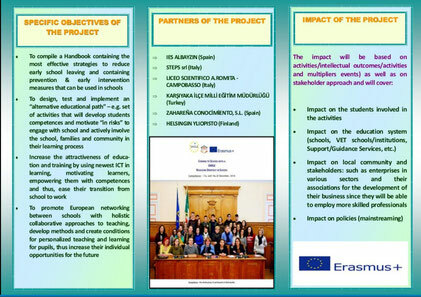 Through the Knork network (a project which received a score of 9/19 points from EACEA) Smyile can further promote its objectives and outputs. 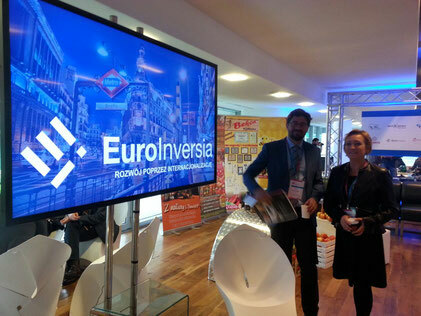 Euroinversia: clusters and european programs. Warsaw, Poland. 19-20 september 2016. IV Clusters meeting, 19-20 september 2016. Varsaw, Poland. Visit at Vesala High School, 20 september, 2016. 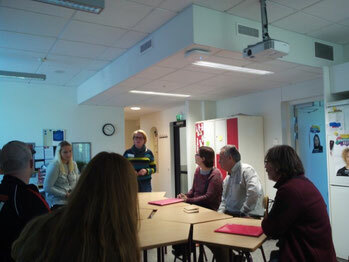 We can talked about our project to the responsables of this Comprehensive School. 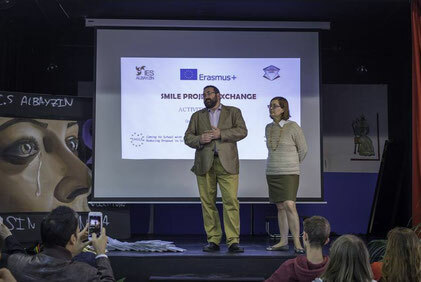 Steps promoted SMILE during the Career Day held in Rome on November 11th. Unimos Fundacja, Warsaw, Poland. 16-17 november 2016. VII Mazovia Region meeting. 16-17 November 2016. 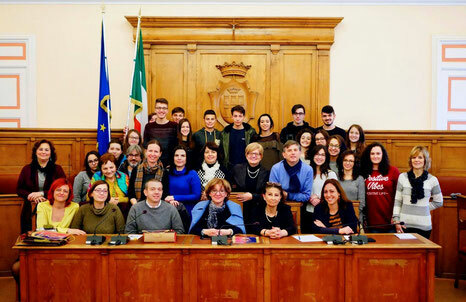 Press Conference at the Municipality of Campobasso, Italy. 15 december 2016. Open days 2017, Graafschap College, Doetinchem, The Nederlands. 3-4 february 2017. 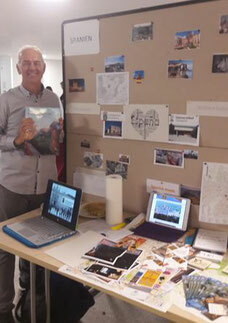 On 3 and 4 February 2017, Graafschap College organized open days in various places in Doetinchem. 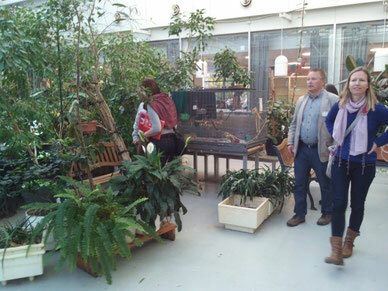 The headquarters in Groenlo opened its doors on February 7. 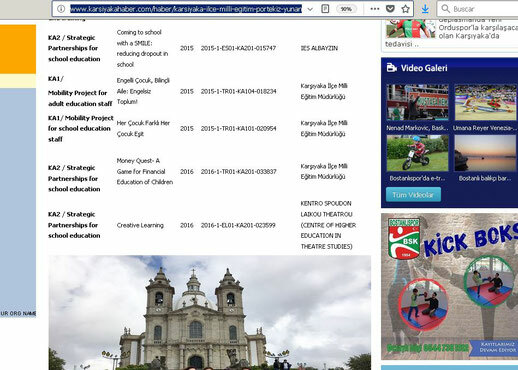 In total, more than 4,000 future students and parents reported on the different programs. 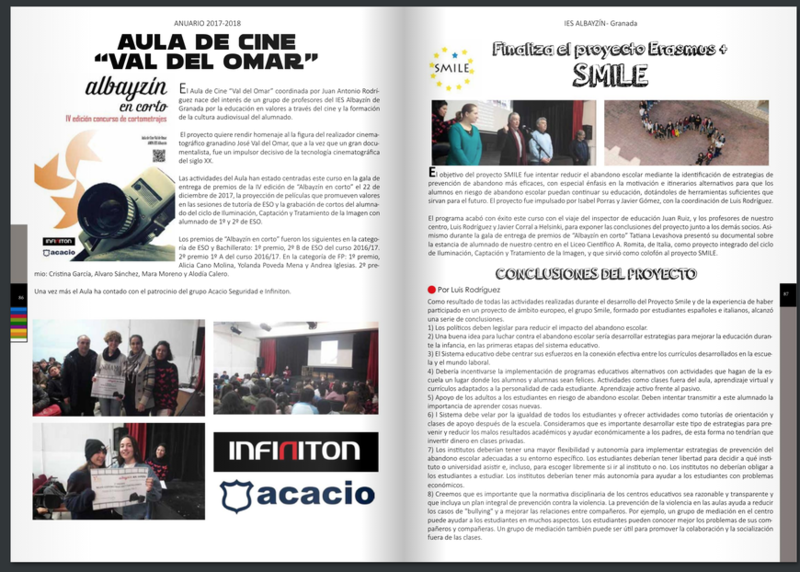 In these days, information about the Smile project was offered. 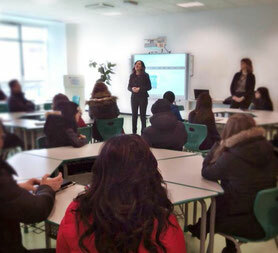 Open days in Liceo A. Romita, Campobasso, Italy. 4 february, 2017. February, 4th. 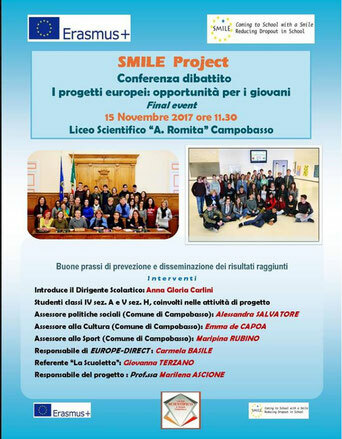 "Open day" at Liceo Romita, Campobasso: a good opportunity to introduce school international projects and talk about SMILE...! 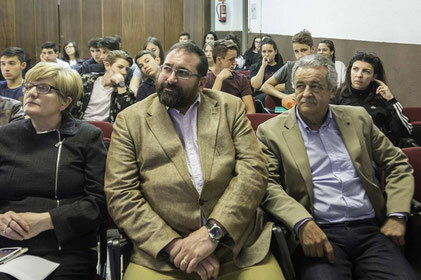 Press conference and presentation act of Provincial Education Head of Granada. 8 may 2017. The coming out of the Smile week with Mr. Germán González, Delegado Territorial de Educación, 8 May 2017. 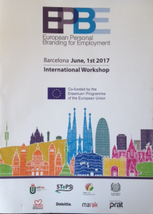 The European Personal Branding for Employment -International Workshop (2015‐1‐ES01‐KA203‐016058) will take place in Barcelona on 1st June 2017 and its main aim is to promote project results among project partners, target groups and stakeholders. 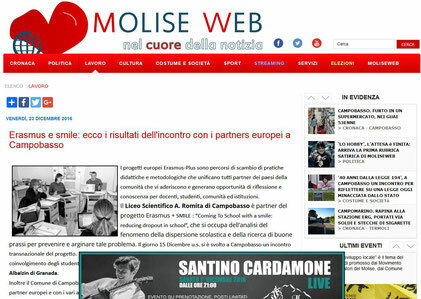 STEPS Italy presented among other projects, Smile project. The SMILE group visiting the JOPO Project classroom and also exposing our Smile project. 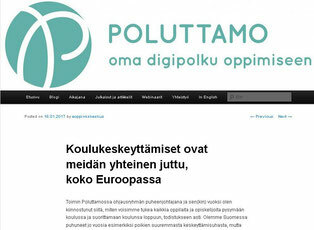 Google Finland and SAK aim to find solutions for lifelong learning that would not leave anyone in the society outside. Enabling individuals to learn new skills throughout their lifetime is a critical challenge for the governments, but also for workplaces and working communities. 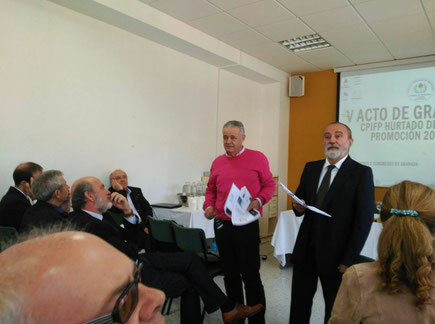 Best practices and dissemination of the results, Campobasso, Italy. 15 november 2017. 15th november 2017. 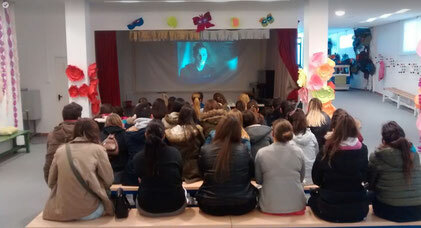 11:30 a.m. Liceo Scientifico "A. Romita" - Campobasso. 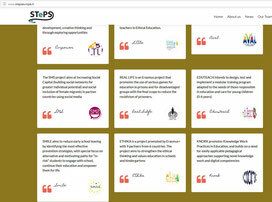 Best practices and dissemination of the results. 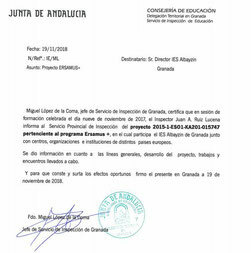 Educative Inspection Service, Granada, Spain. November 2017. 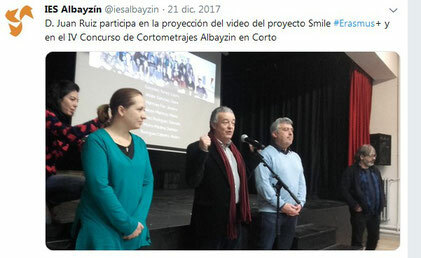 - Day of Inspectors of Granada (09/11/2017), in which SMILE is presented as a good practice. 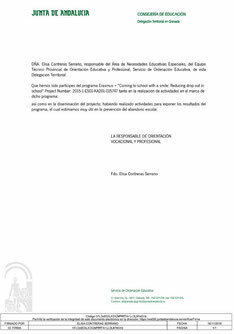 - Municipal Commission of Absenteeism of Guadix (Granada, Spain) (10/11/2017), in which the Inspector presents the conclusions obtained with the SMILE program in response to this problem. 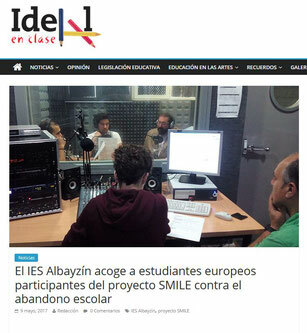 The conclusions of the students of SMILE were used as a starting point for the search for solutions to address the problem of abandonment and absenteeism suffered by Guadix and its Shire. 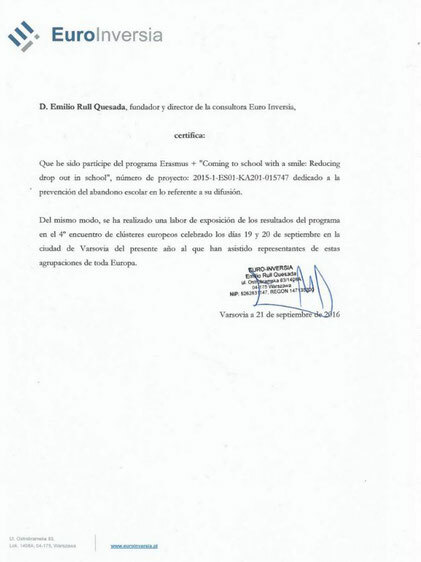 - Work with Directors of Schools and Institutes of Zone II-6 of Granada to look for good educational practices to fight early school leaving, using the work model developed in the SMILE project, as well as its conclusions. 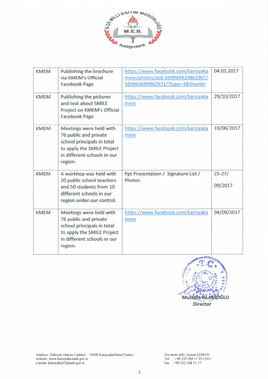 Meetings were held with 76 public schools pincipals in total to apply the SMILE Project in different schools of the region. 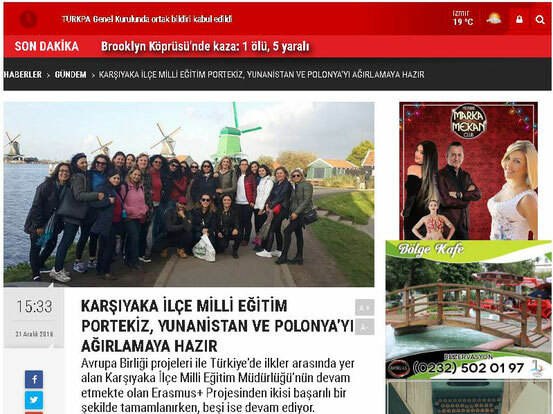 Principals meeting 2017-2018 Karsiyaka district, Turkey. 1 december 2017. 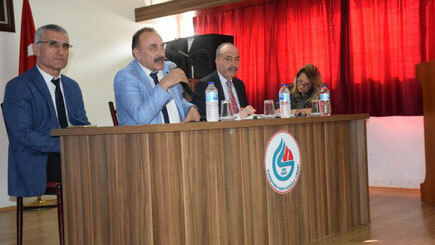 The meeting of the managers of the Karşıyaka District Education Directorate for the 2017-2018 academic year took place on 01.12.2017 in the conference room of our Uğur Special Schools under the leadership of our director, Mr. Mustafa İslamoğlu. 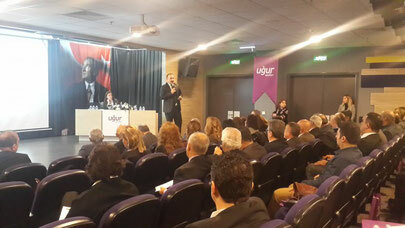 The main themes of the agenda items were special education, attendance and attendance, electronic study programs, energy savings, dining agreements, actions of districts and provinces, maintenance and modifications of schools, strategic plans of schools and information about DynEd. 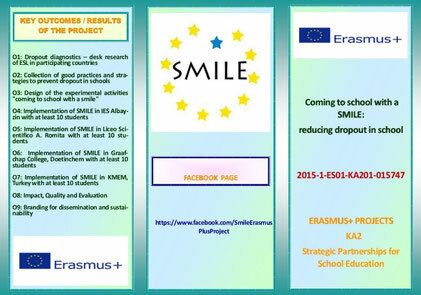 In relation to absenteeism, participation in the Erasmus + "Smile" project was discussed. 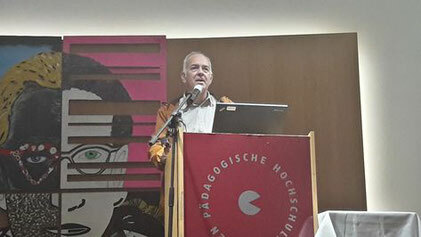 Visit at Märkisches Berufskolleg des Kreises, Klagenfurt, Austria. 15-19 october 2018. 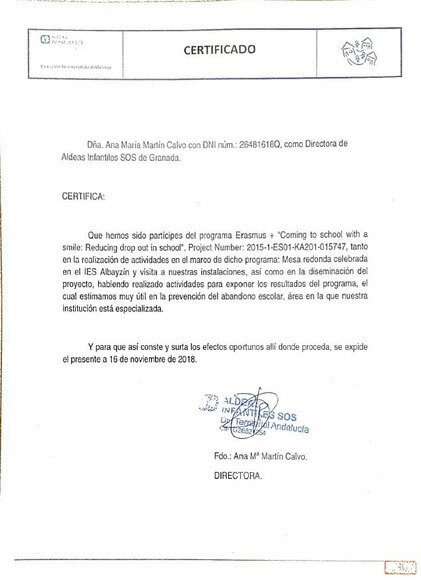 Participation in the Project from the Ministry of Education to receive foreign teachers for profesional stays. 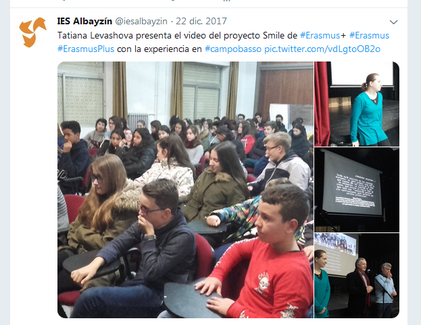 The dissemination of our Smile Project made us get in touch with Dr. Frauke Dasenborck, teacher from Märkisches Berufskolleg des Kreises, in Klagenfurt (Austria). 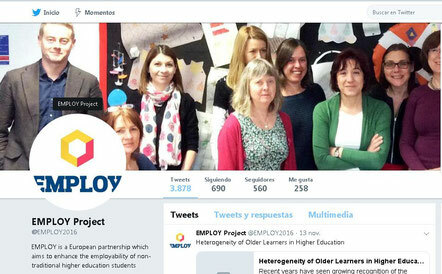 She made a profesional stay in the IES Albayzín to study closely the methodological aspects coming from the Smile Project concerning dropping out at school.This profesional stay has been shaped through a Ministry programme which allows us to receive teachers from European countries for a period of 15 days. 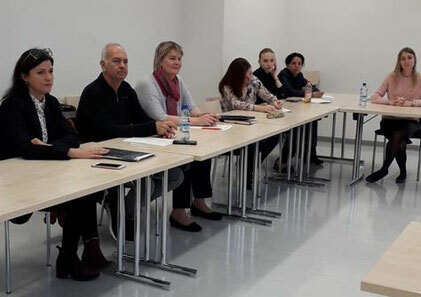 With the participation of teachers from Jan Evangelista Purkyně University in Ústí nad Labem, Czech Republic; Yuriy Fedkovych Chernivtsi National University, in Chernivtsi , Ukraine; Ternopil national pedagogical University, in Ternopil, Ukraine, and Univsersity of Talca, in Talca, Chili, among other institutions and high schools (see the program below). 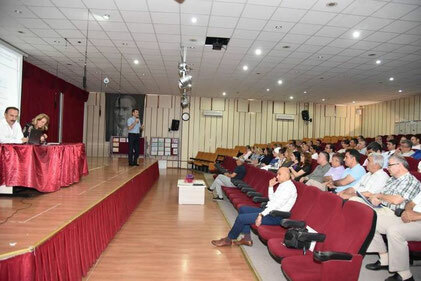 The evaluation meeting for the 2018-2019 academic year was held on 19.10.2018 at 3:00 p.m. at Gazi Anatolian High School. 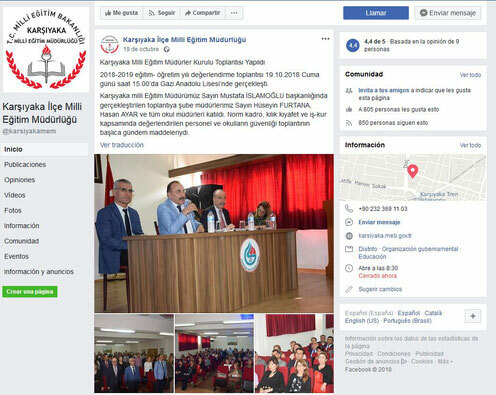 The meeting was organized under the chairmanship of the Director of National Education of Karsiyaka, Mr. Mustafa İSLAMOĞLU and our branch managers, Mr. Hüseyin FURTANA, Hasan AYAR and all the principals of schools he attended. 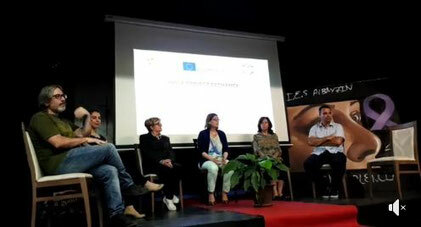 The main points of the agenda of the meeting were the safety of staff and schools, which were evaluated within the scope of the regulations, as well as the impact of the Erasmus + "Smile" project, which has been disseminated by the directors of the 77 centers of the region and more than 40,000 students. 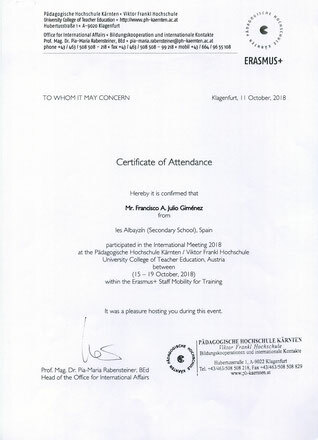 Guidance and Vocational Service of Granada, Junta de Andalucía, Granada, Spain. Aldeas Infantiles children residence, Granada, Spain. Year Book IES Albayzín, Granada, Spain. 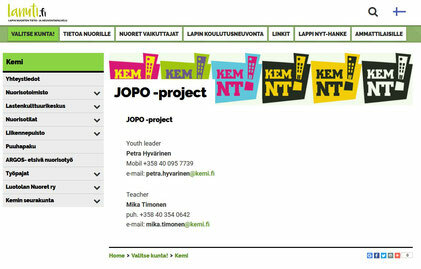 Portfolio about pedagogical evaluation, University of Helsinki, Finland. 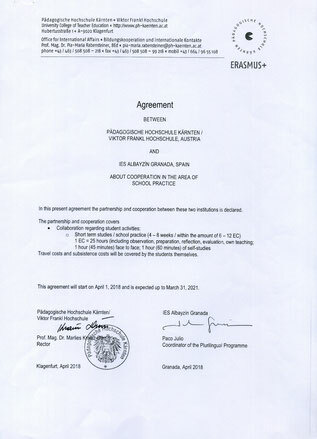 Pedagogical evaluation of the those activities which two participating schools, Liceo Scientifico A.Romita, Campobasso, Italy, and IES Albayzin, Granada, Spain, have conducted. 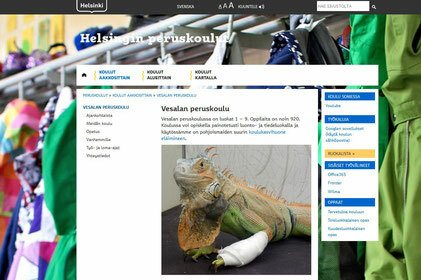 By Liisa Ilomäki, University of Helsink, Finland. 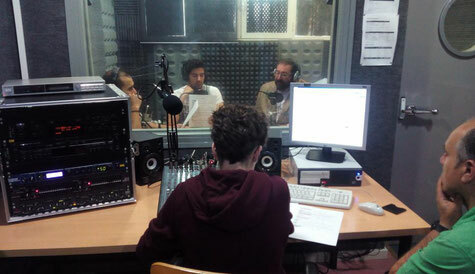 Interview with Provincial Education Head of Granada about Smile Poroject and importance of Erasmus+ projects. 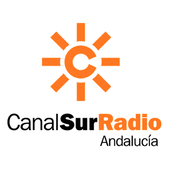 Canal Sur Radio, 15 may 2018.